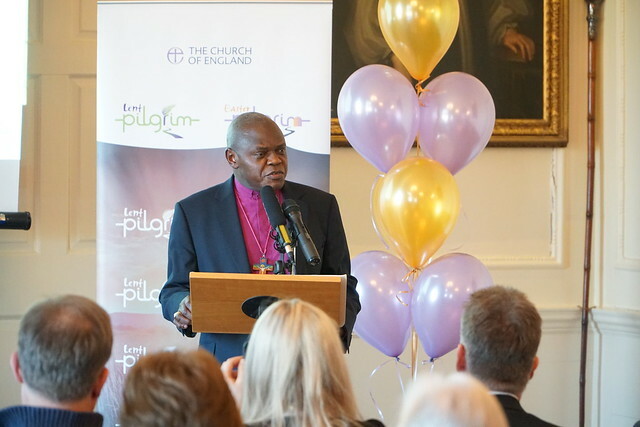 The Church of England’s 2019 Lent and Easter campaigns will take followers from the start of Lent on Ash Wednesday, through to Easter with the LentPilgrim reflections, and on from Easter Day to Ascension Day with EasterPilgrim reflections. These booklets, written by the Bishop of Oxford, Steven Croft, will guide followers through the two 40-day journeys, reflecting on the Apostles Creed, the Lord’s Prayer, the Commandments and the Beatitudes. The campaign encourages and prepares for baptism and confirmation but can be used by anyone at any stage of their Christian journey. The daily reflections provide a short Bible reading, an invitation to pray and a suggestion of how you might respond to the challenge of how to live as God intends, both as an individual and in community. These campaigns build on the success of last year’s Lent campaign, #LiveLent, which reached 3.54 million on social media, with 95 per cent of people who took the daily reflections finding them helpful, very helpful or extremely helpful in bringing them closer to God. The Pilgrim Journeys booklets are ideal daily companions for anyone seeking to grow in the Christian faith. Order an individual booklet or booklets to give to your congregation here. The new A Church Near You played an important role last year. We saw a 27% uplift in time spent on the site compared to Lent 2017, a 12% increase in page views – 100,000 more and the bounce rate (the number of people leaving the site after only visiting one page) dropped by 21%. We also used social advertising to encourage people to attend a local church on Easter Day, which we will run again this year. Benefit from this and help people find out about your Easter services by adding them to site. Get help with adding your services and using the Lent and Easter-related tags here. As with #FollowTheStar, our Christmas campaign, the daily reflections will also be available to those who sign up to receive the daily emails or download the app. This is free and will be available soon. Find out more here. We will be sharing short captions from the daily reflections throughout the campaigns, encouraging people to sign up to receive the daily reflections or download the app. Consider sharing these from your social accounts to encourage those who follow you to get involved. Share what your church is up to throughout Lent and Easter using the hashtags #LentPilgrim and #EasterPilgrim. Share updates about your services, events and news throughout Lent and Easter using the hashtags, not only to increase the reach of your posts but also for the chance of retweeted or shared by the Church of England on social media. The campaign will lead onto Thy Kingdom Come, the Archbishop of Canterbury and York’s global wave of prayer at Pentecost.